For more formal Singapore weddings, bridal couples can have seven-course plated meal instead of the traditional dinner buffet. This type of meal serving is another way to entertain guests while enjoying a variety of scrumptious small dishes. A seven-course meal is best suitable for intimate gatherings since you’re going to serve several dishes per person. 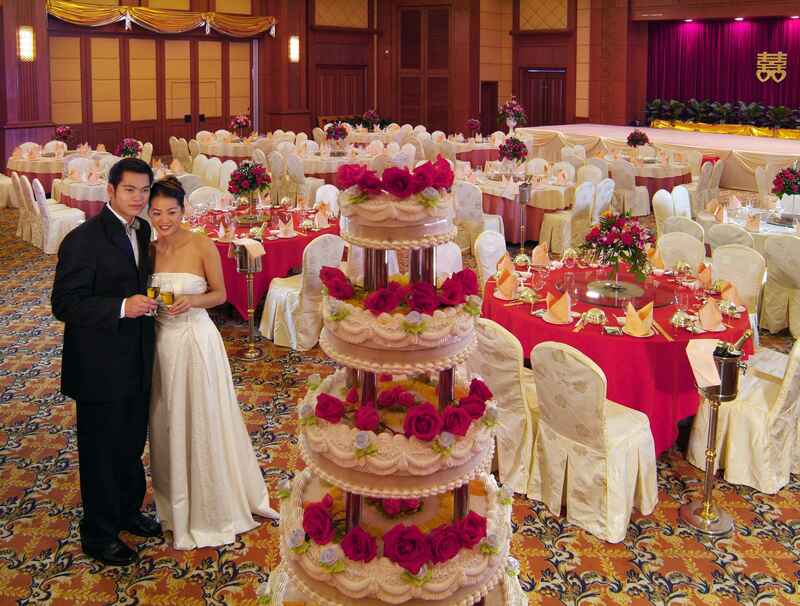 You can also refer to the Singapore wedding banquet price list for the prices of banquets in Singapore. 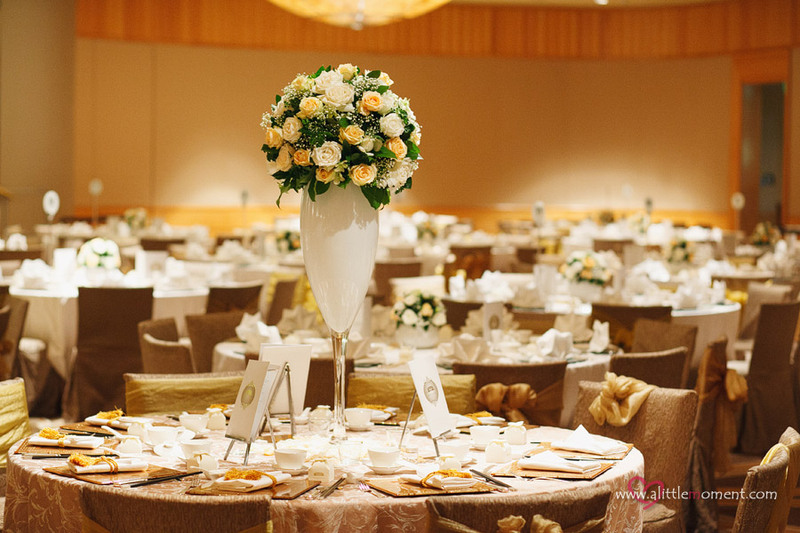 A guest list of not more than 50 invitees is the best suitable number for seated seven-course wedding banquet. To ensure enjoyable banquet experience, choose a wedding hotel banquet with exceptional food choices and follow this simple guide in planning your seven-course wedding banquet. The first meal to think of is the appetizer. Choose something light that would stimulate the appetite of your guests for the next food to follow. Appetizers are served in small portions, since you don’t want everybody to fill up on it. Finger foods with dip are great options, as well as cocktail selections for fancier option. The second dish to serve is a soup. Choose a soup that would complement the meal. Avoid serving hearty soups, such as stews, which are too filling. Chicken soup, bean, vegetable, or potato soup are appropriate choices for seven-course meal. The third entrée should be a salad. Have your wedding hotel banquet plan for something with a combination of lettuce, croutons, and hard-boiled eggs. Top your light salad with vinaigrette dressing and make sure to serve it chilled, on a small plate. Sorbet is a fruity-flavored, finely-crushed ice served in a small bowl. This course is served to cleanse your guests’ palette and prepare them for the main dish. Half a cup of sorbet per guest is usually enough to provide enough cleansing after the first three meals. Any type of meat, including seafood and poultry can be served as your fifth course. Request to have a special meat dish with lots of sidings, like buttery corn kernels or cheese and mushrooms, for variety of flavors. Like the first main dish, this could also be another serving of meat but prepared in a different approach. If the first meat was broiled, let your banquet provider have your second meat dish baked or roasted. For a more balanced option, you can serve a vegetable or pasta dish instead of meat. Of course, the last and final dish should be a sweet treat. Choose a sweet dish that rounds out all your first six meals. A lime pie, triple chocolate mousse cake, or homemade ice cream with selections of your favorite toppings are suitable choices for a seven-course banquet. Have your desserts plated fancifully for a whimsical meal finale. Lastly, don’t forget to include a complementary wine for each dish. The best way to choose a wine is to visit your favorite Singapore wine store and discuss with the sommelier how much of what wine to serve per guest. 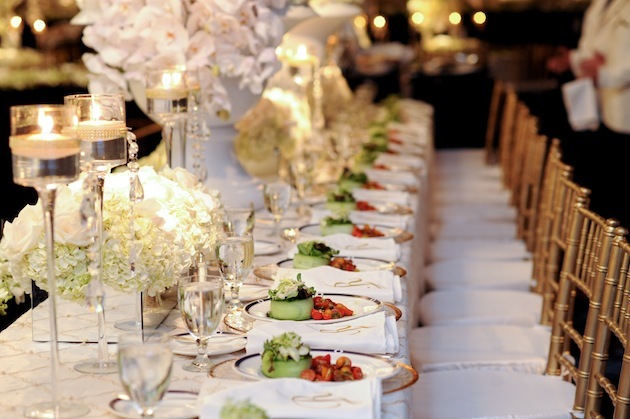 Make sure to serve foods that complement each other and allow plenty of time to let everyone enjoy your elegant meal.